The Internet of Things, also known simply as IoT, refers to the interconnectedness of various electronic devices, where intelligent interactivity and communication occur between devices, as well as between humans and devices. The connections created allow automatic exchanges of data by way of embedded sensors and specific software. 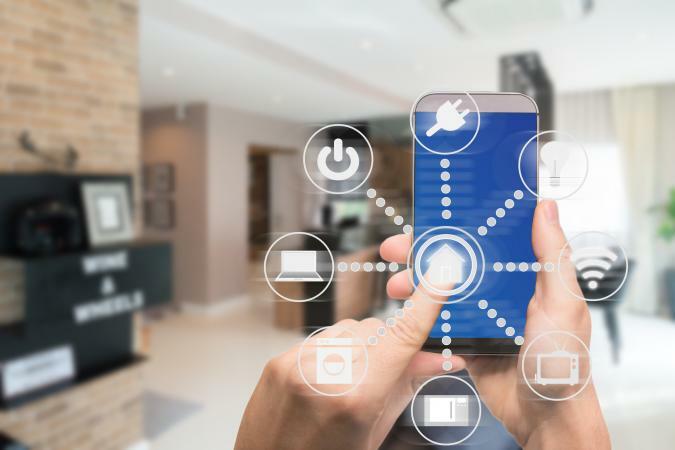 The term IoT is often used interchangeably with related terms like connected device, smart home, smart device, and automated device. While they are similar, each has its own unique meaning. According to Michael E. Porter and James E. Heppelmann in the Harvard Business Review, connected technology and smart technology aren't identical. Connected things are electronics (or non-electronics) that come with sensors, microprocessors, and controls that communicate with networks to exchange data and monitor data collection. On the other hand, smart things have the characteristics of connected devices, but with the additional ability to operate autonomously or by following certain schedules and algorithms. In the case of a home, for instance, it can work in two ways. First, a home can be connected, smart, or automated, independent of each label. Second, it can be a connected, smart, and automated home simultaneously. 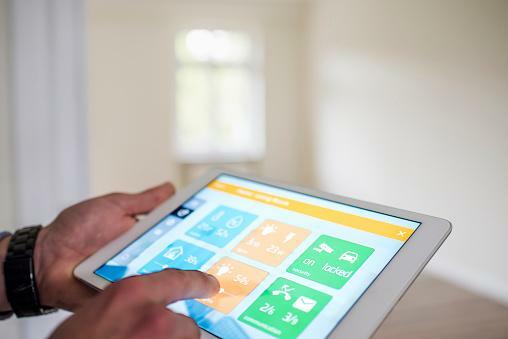 In a connected home, devices and appliances are connected to a remote control or a control dashboard, possibly over Wi-Fi. In a smart home, all the connections can run by themselves without direct human input. In an automated home, the smart connections work seamlessly with a smart device that serves as a hub to monitor, communicate with, and control all other connected devices. All three concepts are a part of IoT, but they work on different levels of automation. The vision of IoT evolved due to the convergence of numerous technologies, including wireless communication, artificial intelligence, analytics, robotics, embedded systems, sensors, and automation. This all started as early as 1982. The first Internet-connected appliance was the Coca-Cola machine installed at Carnegie Mellon University to self-report the available stock and the temperature of the drinks. In 1991, an academic paper written by Mark Weiser titled "The Computer of the 21st Century" was presented to share some insights to the early knowledge of the IoT. During the 1990s, several academic papers were presented in academia that discussed the integration and automation of electronic devices in homes and businesses. In 1999, the vision started to gain momentum with Bill Joy's presentation on device-to-device (D2D) communication at the World Economic Forum in Davos, Switzerland. Later, Kevin Ashton of MIT coined the term the Internet of Things, which is commonly used today. The modern world is now filled with smartphones and smart appliances as well as intelligent assistants like Siri and Alexa. By 2020, when the world population is estimated to be around 8 billion people, it's expected that 50 billion devices will be interconnected. The size of the market will be around $267 billion. By 2022, an average household will likely have at least 50 connected devices. You probably own several IoT items already, but you may have never referred to them as such. Many products on today's market have been designed with IoT integration and automation. These items are already available for the public and can be purchased readily. The benefits of IoT are quite obvious. They include automation, data analytics, tracking of various conditions, better control of devices and non-electronic assets, and better quality of life. For health and medical purposes, the roles of IoT have been quite significant, like medical treatment improvements, better disease management, reduced human errors, improved drug management, and improved patient experience. These smart devices can save lives. Users and developers of IoT data are aware of possible security breaches and hacking, which may include stolen identity and virus and malware attacks. The infection of IoT devices was determined as a root cause of a major DDOS attack in October 2016. Since the IoT era has only just begun, more improvements must be made to ensure the safety and security of future devices. In the meantime, security risks can be significant if not properly mitigated and rectified through appropriate technical assistance and software updates. Connected, smart, and automated devices are going increasingly mainstream as more users recognize their convenience and benefits. It's a trend you can start to embrace now with small steps, like wearing an exercise tracker or installing smart lighting in your home. Technology is to be celebrated as long as it's used with caution of its potential drawbacks.